* Total number of reviews and star-ratings are based on data collected during the time period One Hour Heating & Air Conditioning - Lee's Summit has been using the ReviewBuzz system and may not directly match the data found on each public review site. Excellent knowledge of the system, very diligent observation of the components, good trouble-shooting of humidifier problem, excellent service over-all - I am extremely pleased with Caleb's service call. Lazaro was an excellent service tech. He explained what he was doing and told me of further maintenance that that I should do to extend the life of my unit. He is also one of the most pleasant service people that I have come to my home. Will be asking for him to return for my next service call. We had a great experience with One Hour! Caleb was awesome. He was on time and efficient, and gave us lots of options. Highly recommend. James was our technician. He was knowledgeable, friendly and came over right away too. Really appreciated his help with our furnace today! James was prompt and professional, even on a day of heavy snow. He gladly wore shoe coverings in the house, was efficient in diagnosing the problem on our furnace, kept all areas clean, and was very pleasant in discussion and information. Thank you, James! They are prompt and able to fix the issue. James S. worked diligently to diagnose and fix the heating problem. He was very patient and answered all my questions so I understood. I called Saturday night to schedule an appt for Monday morning between 8am-12pm... Caleb called at 8:20 and said he’d be there in 10 mins.. he arrived on time, diagnosed the problem in about 10 mins.. he did have a totally stocked truck but my unit being an older model required a part he didn’t have.. he retrieved the part in less than 15 mins, installed it in 15 minutes, checked everything out to make sure the unit was running correctly... could’ve have been more professional and knowledgeable...his business card will be saved! James was an excellent source of knowledge, he was funny, on time, and completed the whole job within 30 mins. James at One Hour Heating & AC -- Lee's Summit did an excellent job getting our air conditioning up and running again quickly. After two days of getting the runaround from other companies who promised but failed to send technicians, One Hour sent James to help us right away. the service provided was efficient, professional and honest. I thought our AC problem would be way worse but it got fixed quick and at an affordable price. James and Nate came to my residence to install a new water heater and, like all the technicians from One Hour Heating & Air Conditioning, they did an outstanding job! They arrived punctually, they got the work done very quickly and professionally, and they did a great job of cleaning up. I cannot recommend them highly enough. 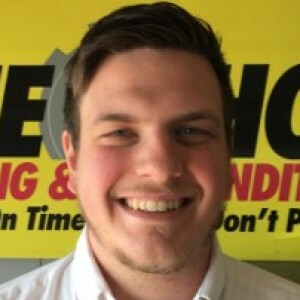 Brandon Brandt came out to perform the seasonal maintenance check on my air conditioning system, and, like all the technicians from Lee’s Summit One Hour Heating & A/C, he did an outstanding job! But in addition to that, he noticed a problem with my water heater and he worked with me to get that matter resolved as well. 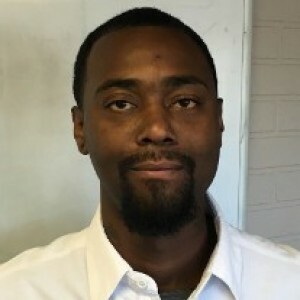 Brandon was extremely polite and proficient, but he was also very friendly and personable. He did a great job, and I really appreciate his assistance. We have had Brandon inspect our heating and air system the last two years and he does a through job, running checks on both systems. He comes out twice per year. We like this service. Our tech - Brandon - is a super nice guy. Very helpful and goes above and beyond to make sure you're happy and that things are working correctly before he leaves your home. We'll be renewing our comfort club membership now - because of Brandon's example and representation of One Hour H&C. Good job Brandon! 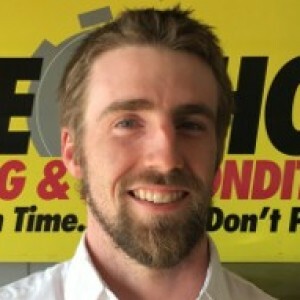 Brandon B., the technician, was very professional & informative. He was here to do our A/C check & tune up. He was also able to hook up the NEST thermostat to our system. Brandon explained how to use the new thermostat. I will be requesting Brandon for any and all service in the future. Prompt, honest, professional and knowledgeable as always. Would highly recommend to anyone! Customer service is always a top priority at One Hour Heating & Air Conditioning - Lee's Summit. Our BBB Membership rating is like a badge of honor as we continuously strive to provide the best experience for our clients.